There are few things in the world as beautiful as rose pictures, apart from actual roses in real life. 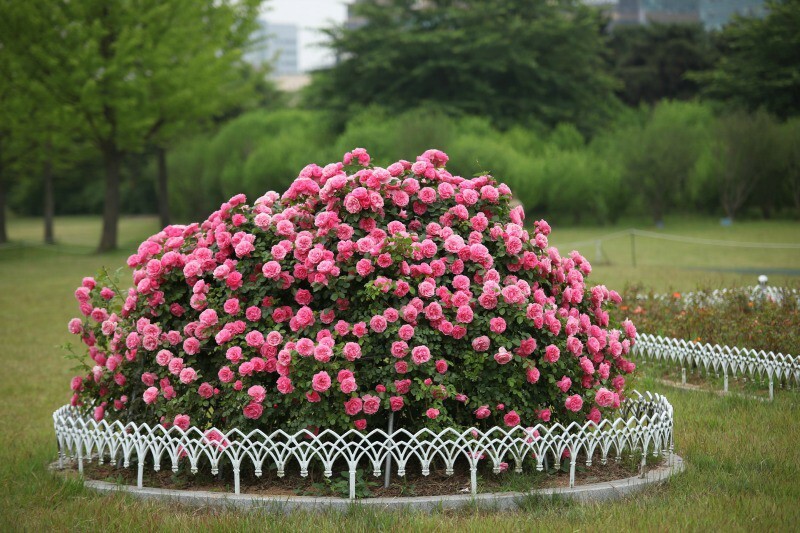 The rose is a type of flowering shrub. It comes from the Latin word Rosa. It’s a woody perennial and there are over 300 different species and thousands of cultivars. It is one of the most recognizable flowers around. It is also known as a universal flower and symbol of love. 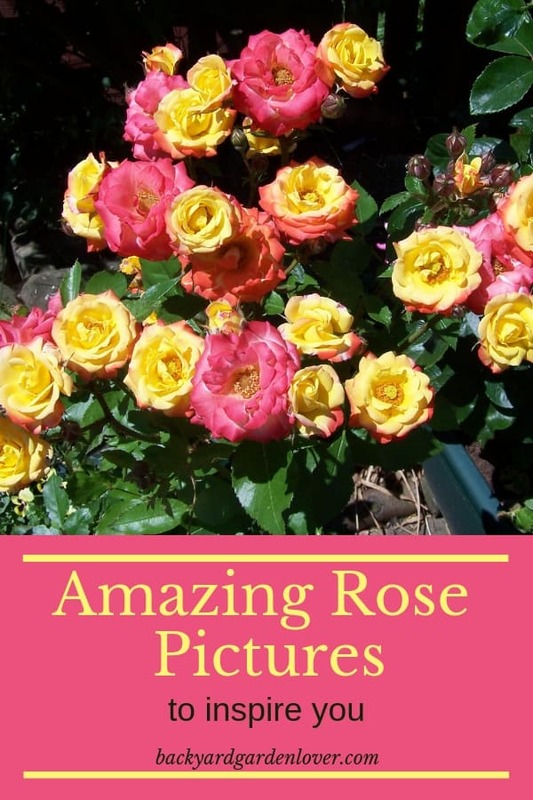 There are so many other wonderful things about roses that you might not even know. 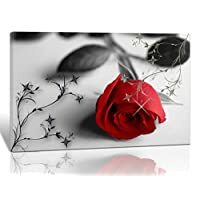 I’m going to show you some beautiful pictures of roses and also tell you some awesome, interesting rose facts along the way. Did you know that roses are thought to be 35 million years old? The most common iconic look is the red rose, which these beautiful pictures below are going to show you. But even red roses can come in different looks and sizes. The Apothecary’s Rose was found in literature as early as the 14th century but some believe it could be even older than that. It was used regularly in medieval medicine, which is how it got its name. The world’s oldest living rose is believed to be over 1,000 years old! It’s in the Cathedral of Hildesheim in Germany. Isn’t that amazing? Let’s take a look at some more pictures and learn more about roses. The red roses pictured here show you the classic, well-known idea of a rose. It’s bright red, open in a full bloom, and delicate but somehow still strong. It could be the bold color of the red, or the fact that they are such hardy flowers. 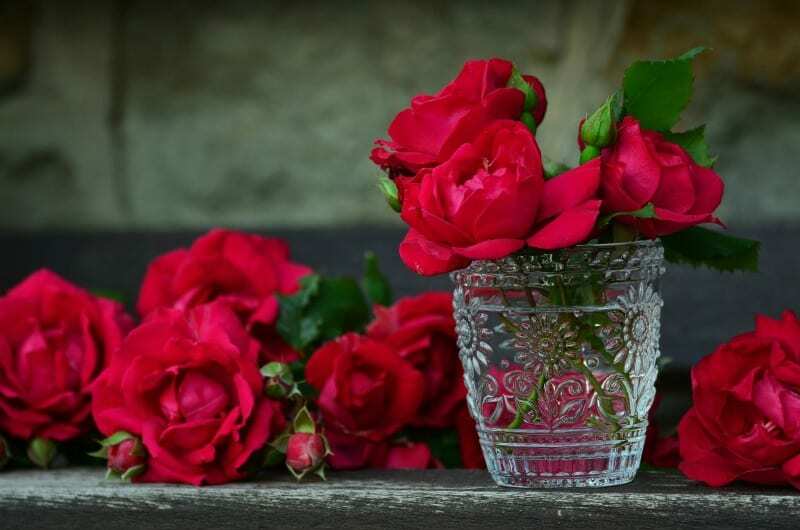 Red roses have long carried such deep emotion. It can be love or desire, respect, admiration or devotion. 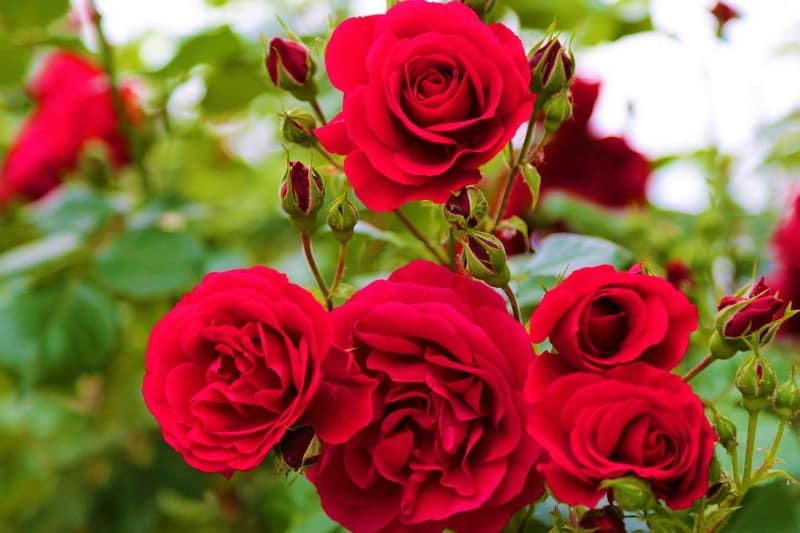 Sometimes a deep red rose like the ones shown in the photo above is used to show sorrow. They may be laid on caskets or displayed at funerals. These red roses actually have a beautiful gradient to them. They go soft pink and even nearly white looking in the middle. This is a special technique that can be done when breeding the flowers to make this unique coloring available. Dark pink roses are often said to represent gratitude and appreciation and the red can represent love. 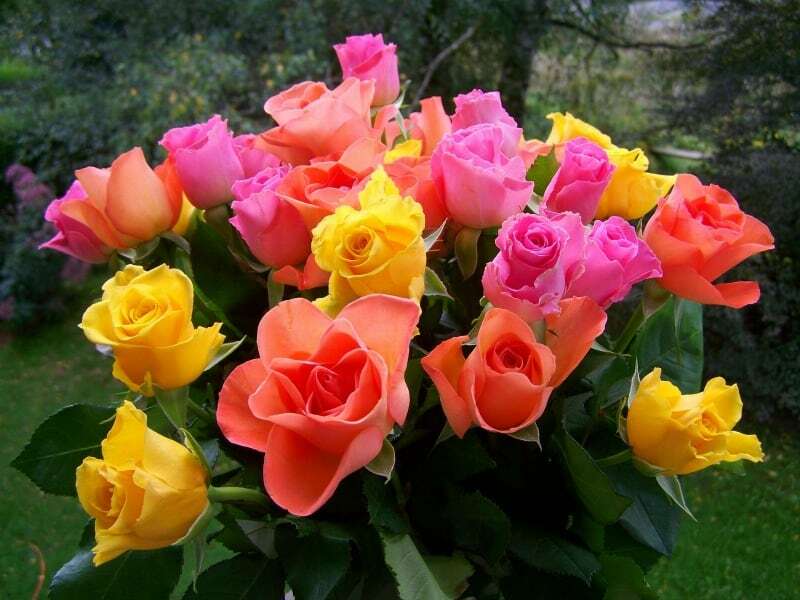 These gradient roses could be shared with a romantic gesture, or to a good friend, a mother, or even a sister. They are very beautiful growing naturally outside like they are in this photo. Here we have amazing red roses on the vine doing what they do best outdoors – growing and brightening up the place. 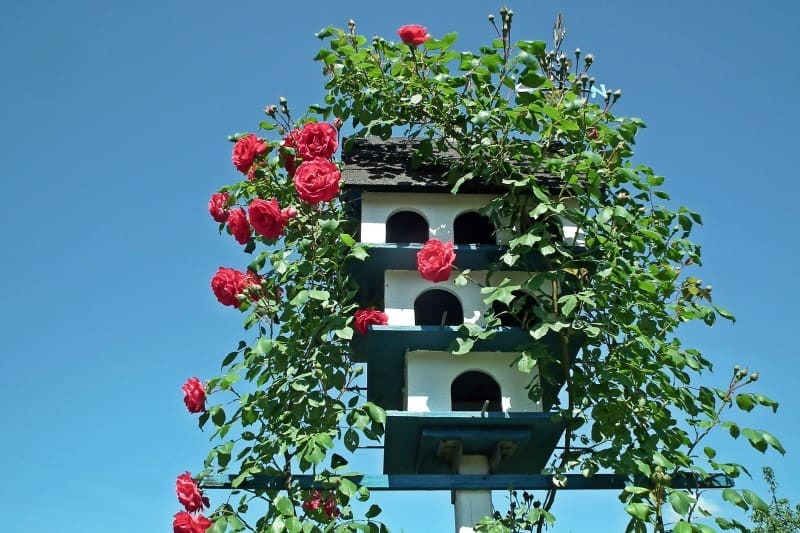 These seem to be going up and over a triple-level birdhouse and it’s absolutely magical. 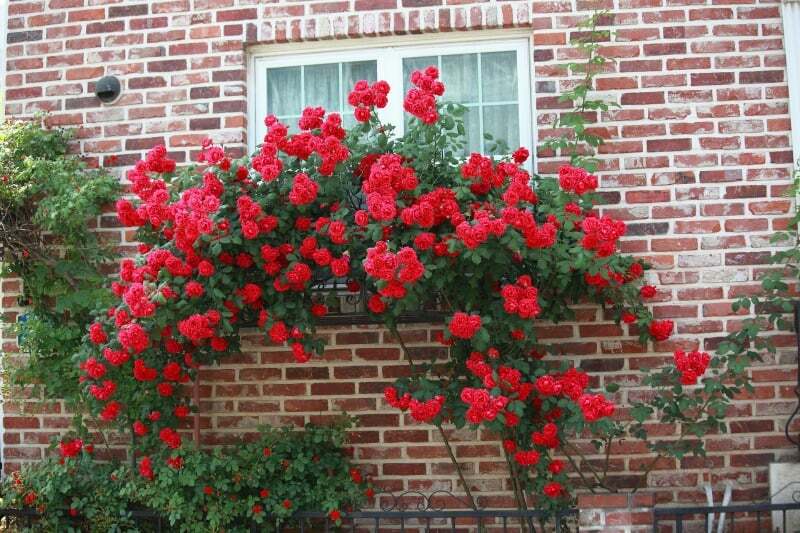 More beautiful bright red roses growing on a vine, but this time outside a brick wall of a home. With the brick as a backdrop, it really makes the red roses pop. Can you imagine looking out your window every day to this? 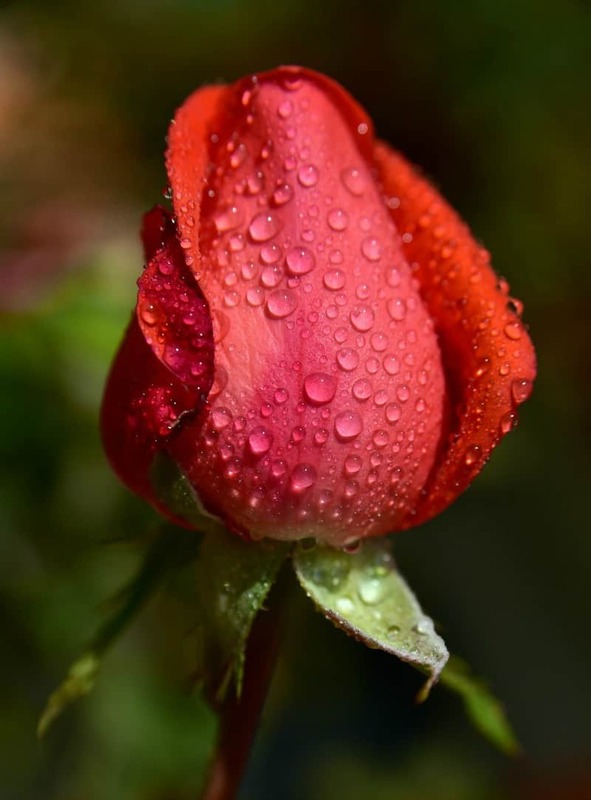 This image features a stunning close-up of a classic red rose with some water dripping off its petals. Perhaps it has recently rained or been watered, or maybe it is morning dew. This picture can elicit a lot of emotion, for sure. WOW! This close up of a red rose has a different look to it: almost looks old, but not in a bad way. 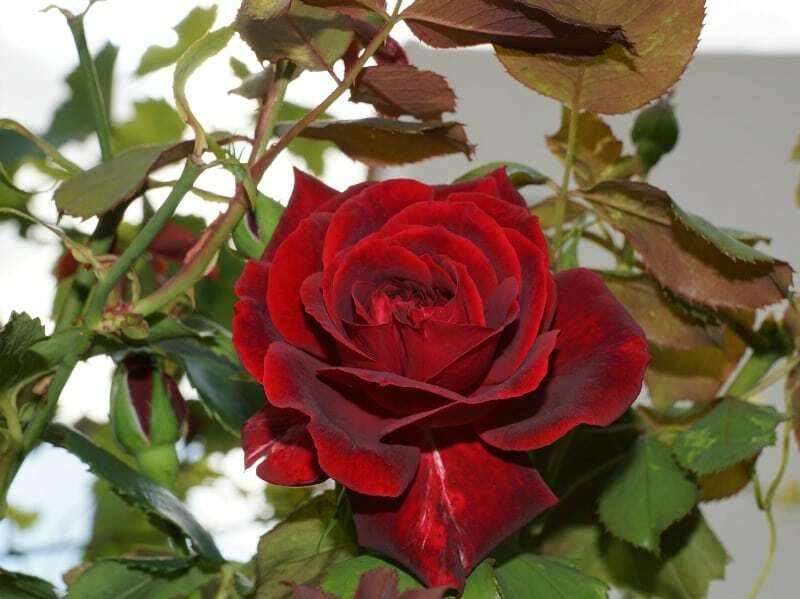 It has deep red tones to its velvety petals and it seems mature, like it holds many secrets of life. It’s amazing how many different looks you can get all from a red rose – no two are the same! There are so many different colors these beautiful flowers come in! 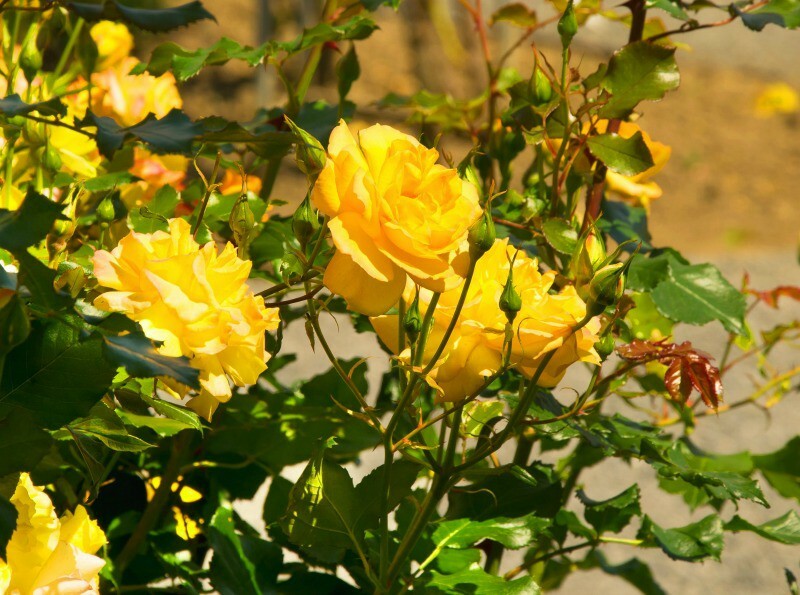 Let’s take a look at some yellow roses. This photo looks like it was taken in a garden of roses, with the focus on the yellow ones here in the forefront. They are at various stages of bloom and each of them very unique and beautiful. Yellow roses have always reminded me of youth and these have the right shade and shape to them to conjure those feelings. 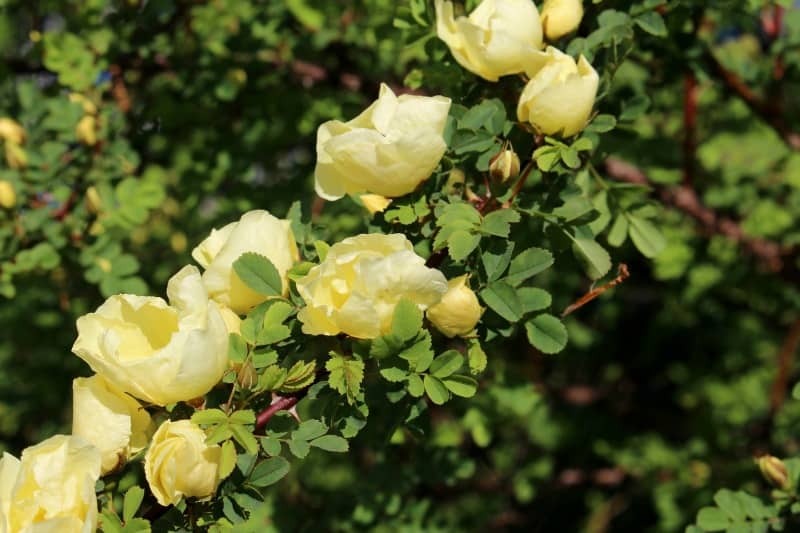 A deeper shade of yellow, this rose seems more mature than the ones in the photo up above. It has a serious, reverent look to it. The deep golden tones really draw in the eye and the leaves on this one are a dark green as well. Here we have a lighter yellow. 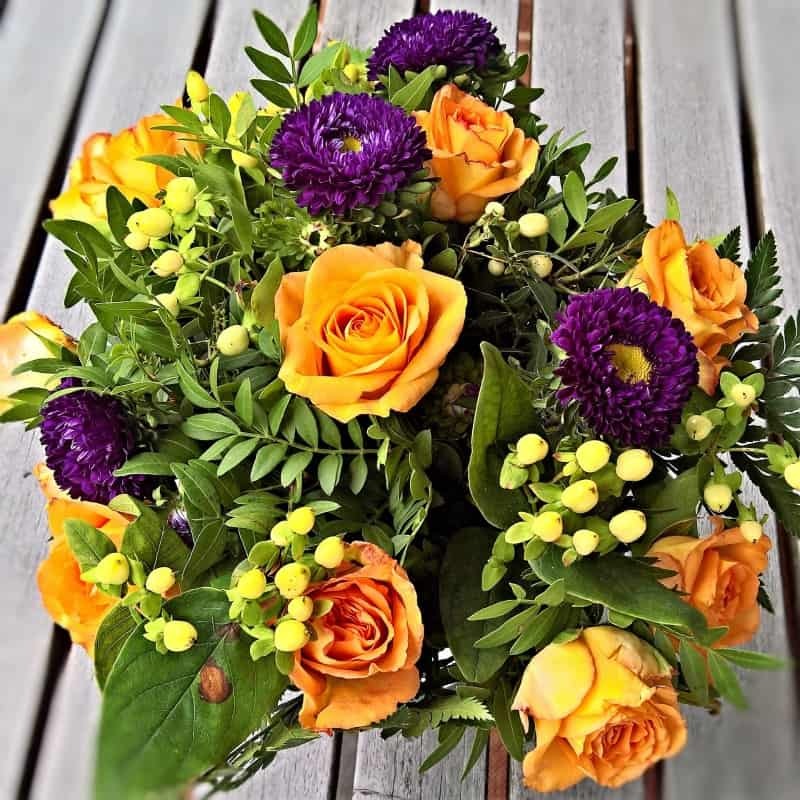 Yellow roses are said to represent friendship and joy, and a sentiment to get well soon. These would make great friendship roses, for sure. They’d also look lovely in a Get Well bouquet. I LOVE these two-toned roses. They are yellow, but with pink tips, and absolutely stunning! Take a look at the ones that are still blooming. As they open up, you can see the swirls of the two different colors. Here is another shot of yellow roses and they are similar in color to the ones from up above, but the design on these look different. If you look closely at the petals, they have a different shape to their bloom. 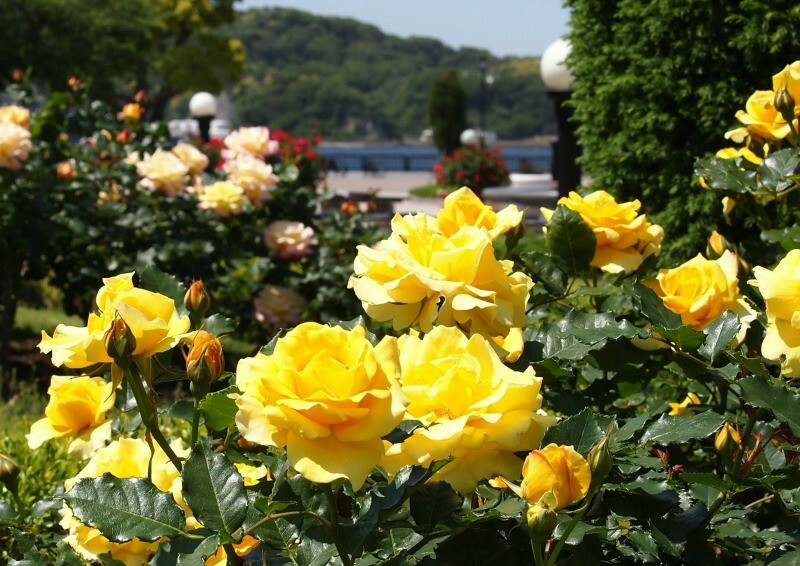 It’s really amazing to see how many different colors and types of just yellow roses there are out there. 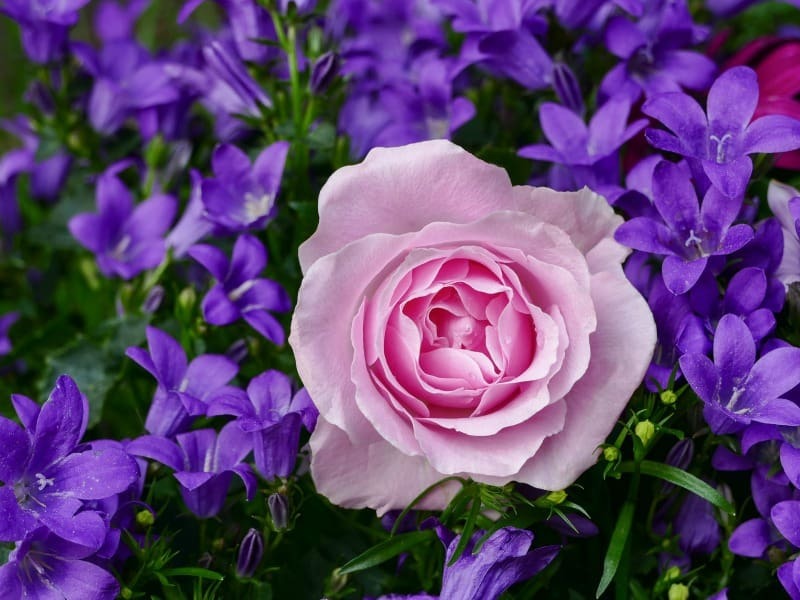 This soft pink rose stands out in the field of purple lavender flowers, making a powerful statement in such a subtle way. The gentle pastels go so well together. We have similar color variants in the next photo, but with a different look. Here the pink rose is bold and big, and the purple flowers in the background are deeper, making the pink rose in the middle of the shot stand out even more. These seem to be growing outside, but it would be just as beautiful as a bouquet. Brighter and bolder, these roses have a deeper shade of pink. These would be great for a sweetheart, or even for a mother or father to give their daughter. Pink roses of this shade can represent gratitude and appreciation as well. What a lovely outdoor bouquet! 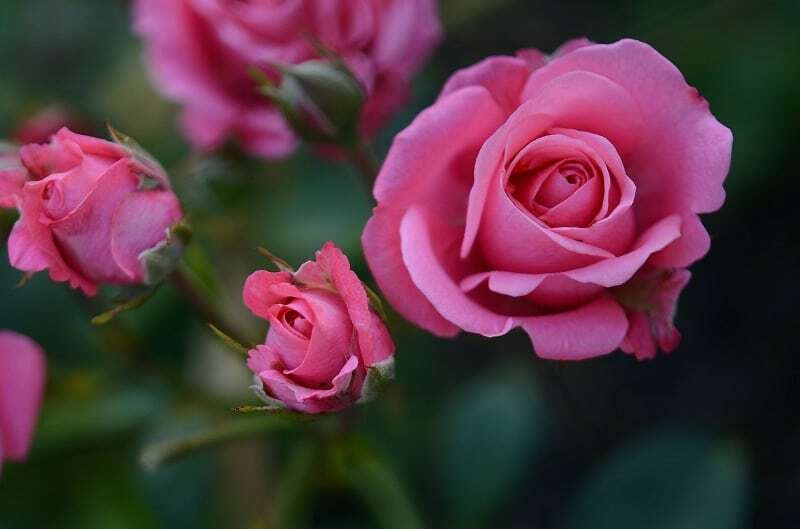 These roses are a beautiful shade of pink – deeper than a pastel or light pink, but not as dark as a deep pink. They make me feel happy and reminiscent on childhood and young love. 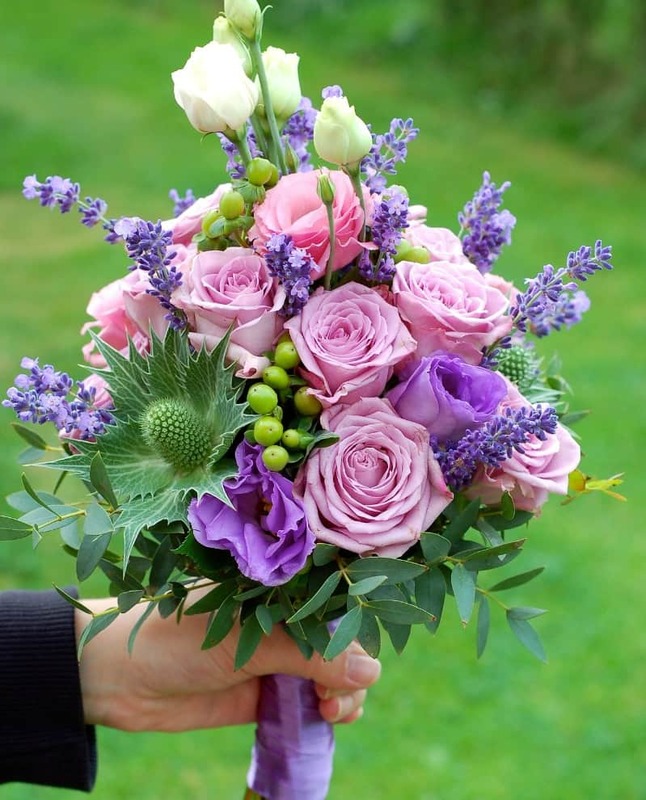 What do you feel when you you look at these pink roses in this arrangement? Now we’re going to look at another class – the white rose. 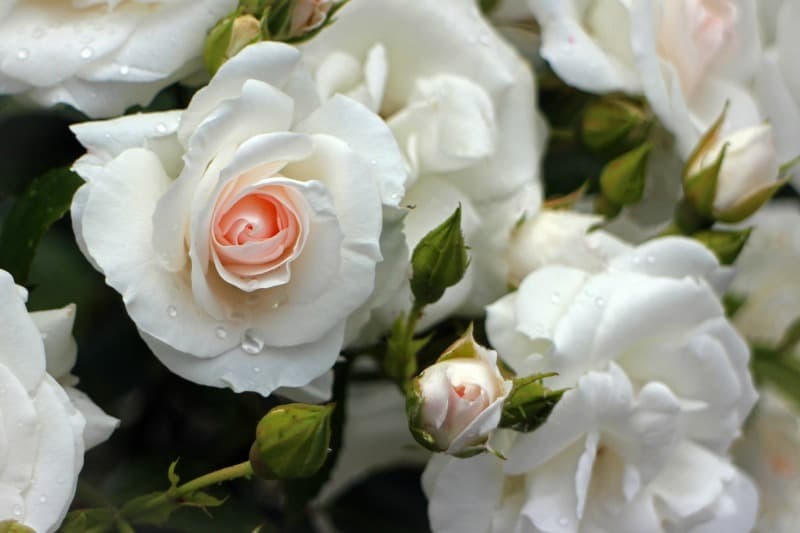 White roses are supposed to represent purity, innocence, sympathy, and spirituality. 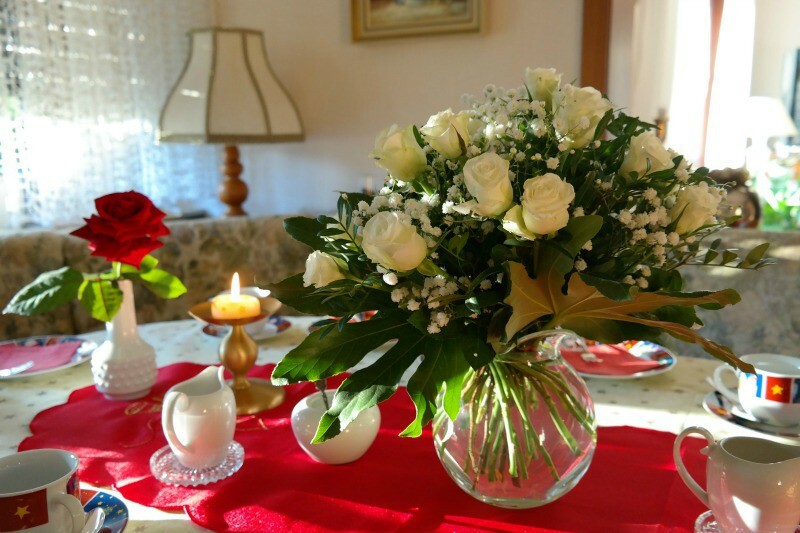 While very early tradition used white roses to represent love, this would soon change to the red rose and white roses would take on a different meaning. White roses have been called “the bridal flower” and are often used in weddings, bride and bridesmaid bouquets, and wedding receptions. The ones in this photo are a stunning white with cream pink in the middle. They seem to have a bit of dew droplets in this high resolution photo that really brings out all the details. I especially love these white roses. They look like they have pink freckles, as their petals are sprinkled with another color. They are truly a sight to see and would be a very special flower to receive from someone special, or to grow in your own garden. 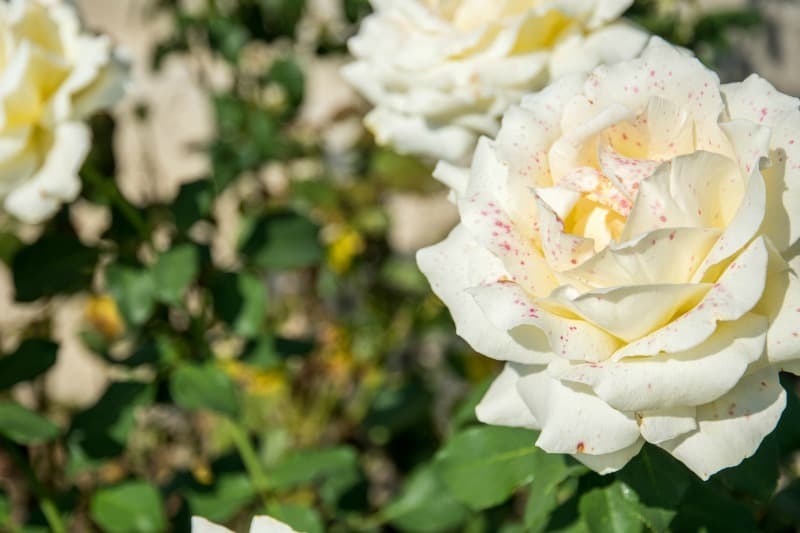 This white rose has a bit of cream color to it as well. It’s very full and has a lot of petals in its bloom. When closed, you can see the pink on the tips but once it opens up all the way, we get the white/cream colors instead. 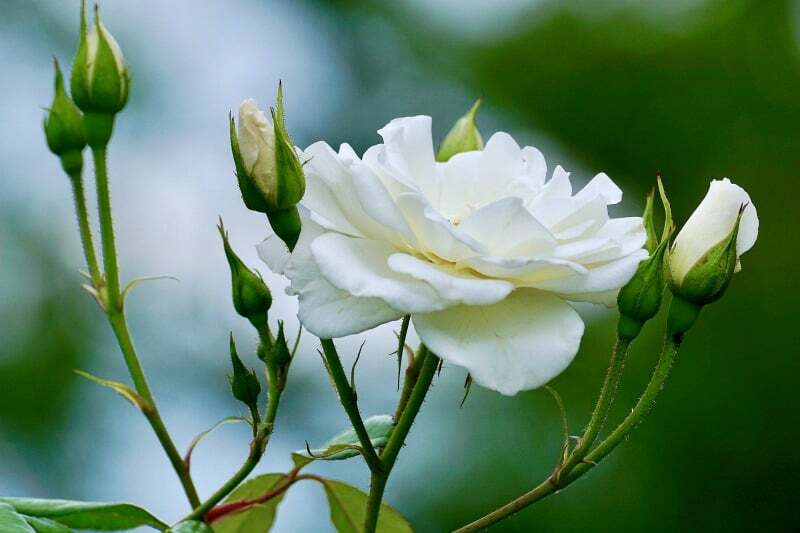 A very pure white rose from a side view as it grows outside on the bush. The ones around it have yet to bloom but we can see some of them budding now, as if opening up to the sunlight. 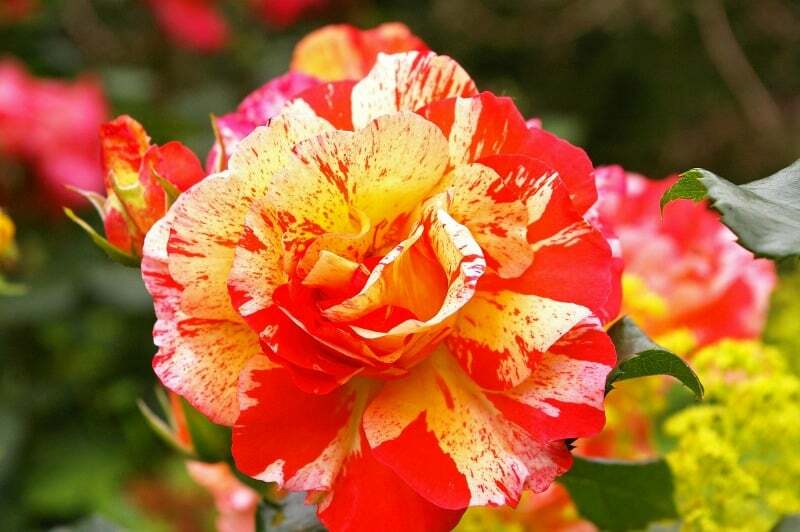 This brings us to some of the most unique rose colors of all – the orange rose. Below you will see some photos of orange roses that I love. 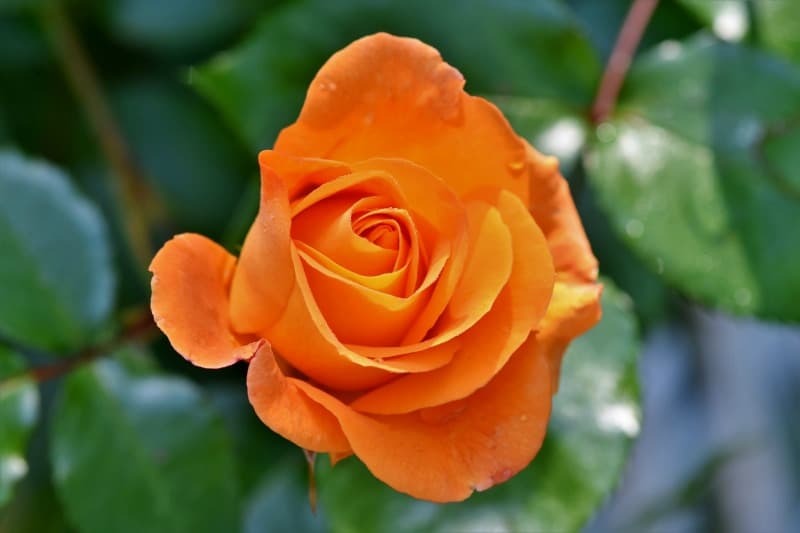 Orange roses are said to represent enthusiasm, desire, and passion. You’ll see why when you look at these orange roses photos. 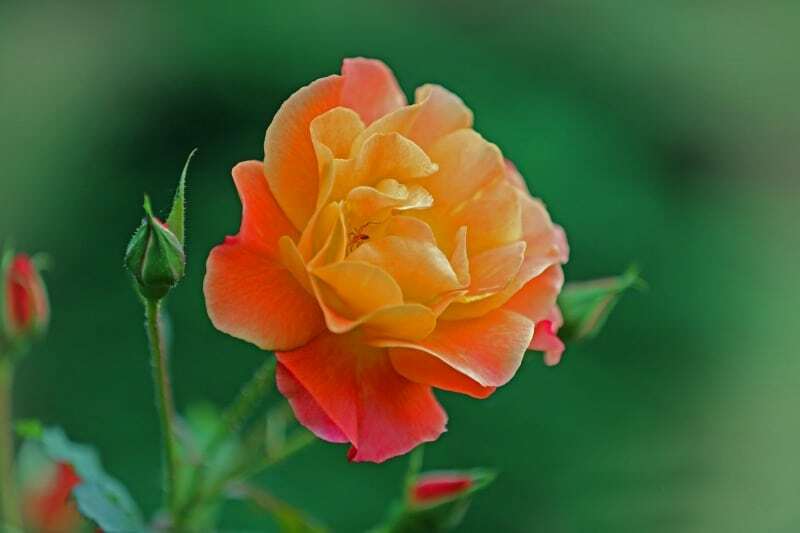 A traditional rose, bloomed and opening as if it is saying hello, this orange rose above has a deep color to it. But not all orange roses are this shade. 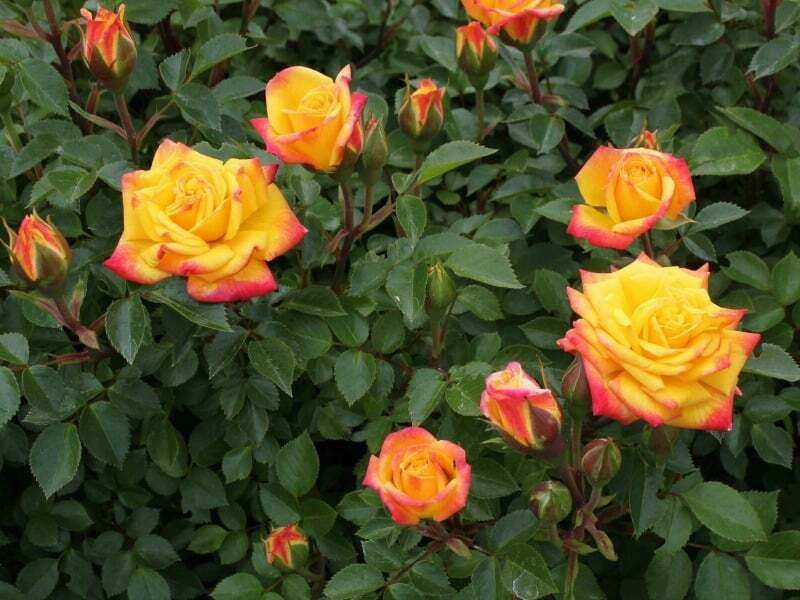 They are as varied as other color roses can be. 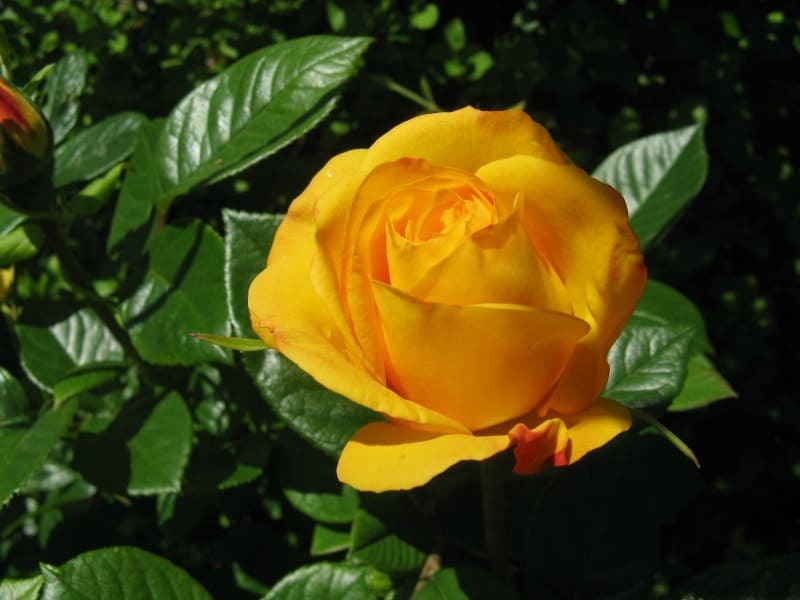 You can see in this photo, that the orange rose has some yellow and pink colors in it as well. It has a gradient that seems to vary from the center and out to the tips of the petals. When these are closed, they appear pink, but then they open up to something special and surprising. This isn’t the only way that roses can be different colors, however. 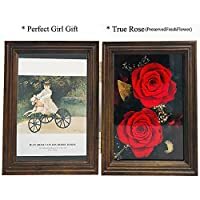 I love the bi-color roses pictures below because they show you how truly amazing this flower is with the many different colors and designs it can come in. 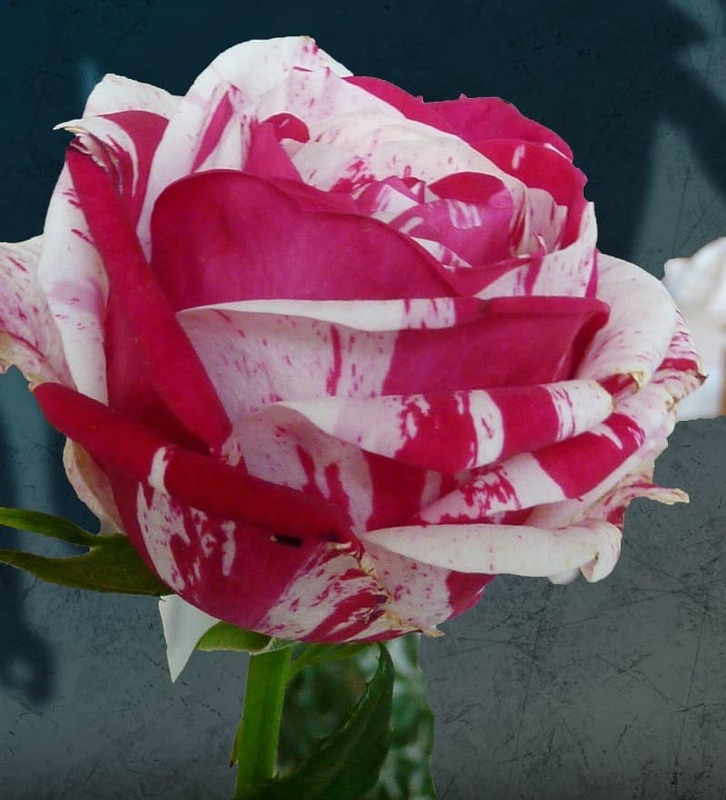 This picture shows us a pink and white/cream color rose that almost looks like tie-dye. Have you ever seen anything like this before? There’s another one below that is even more stunning. 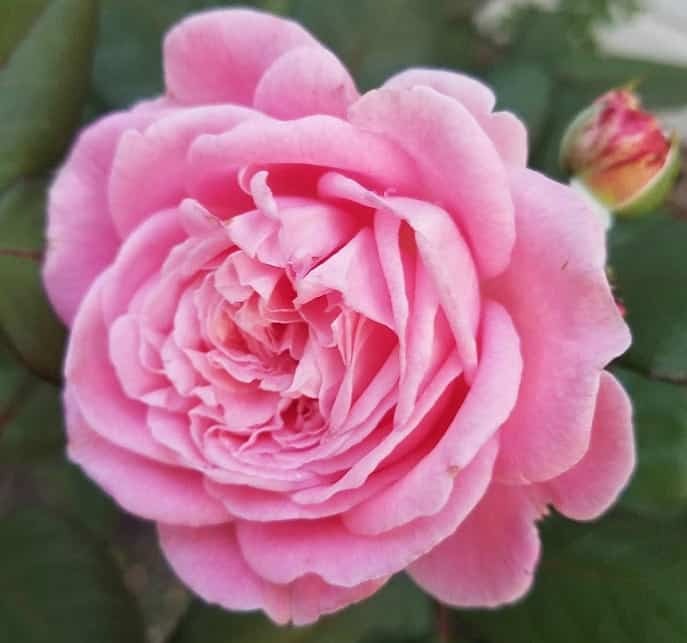 This one is another bi-color rose featuring dark pink with white petals that have a splash of pink and some pink dots on them. I would love to grow some just like this in my own garden and be able to look out the window and see something magnificent like this. Next we have some single rose pictures that show you the true beauty of the rose exists in a variety of forms. This hot pink single rose stands tall and proud. It hasn’t bloomed fully yet, but will be just as pretty once it does. 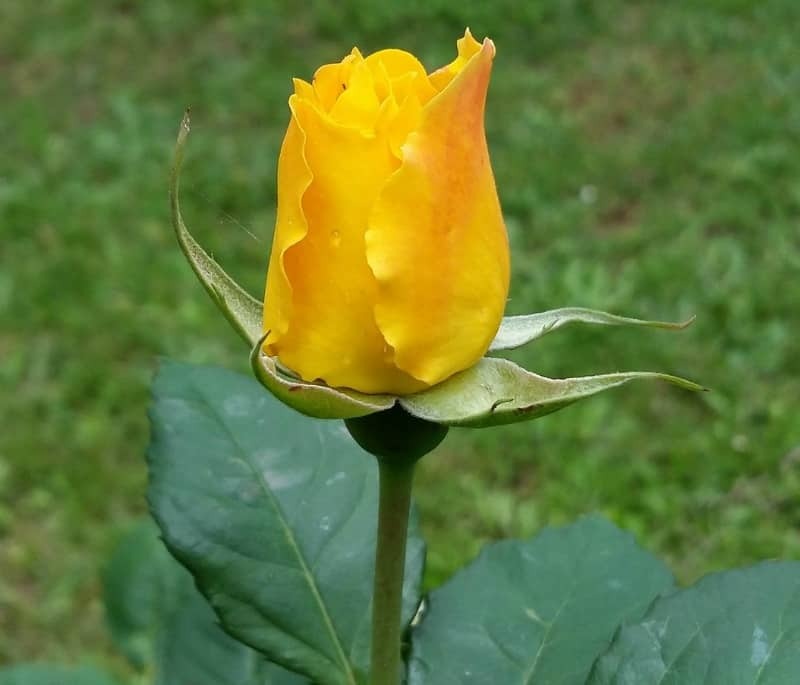 And here we have a single yellow rose, with a golden color that is sure to bloom into something magnificent. If you look closely, you can even see the water droplets on it and what might be spider webbing in the back on the leaves. 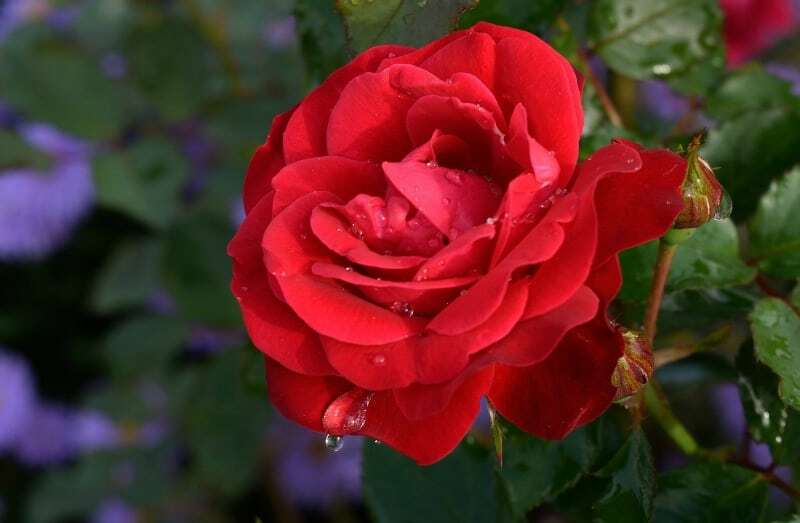 Speaking of water droplets, here is a stunning single red rose with water droplets all over it and its leaves. It is so perfectly shaped, showing us the intricate detail of this amazing flower. 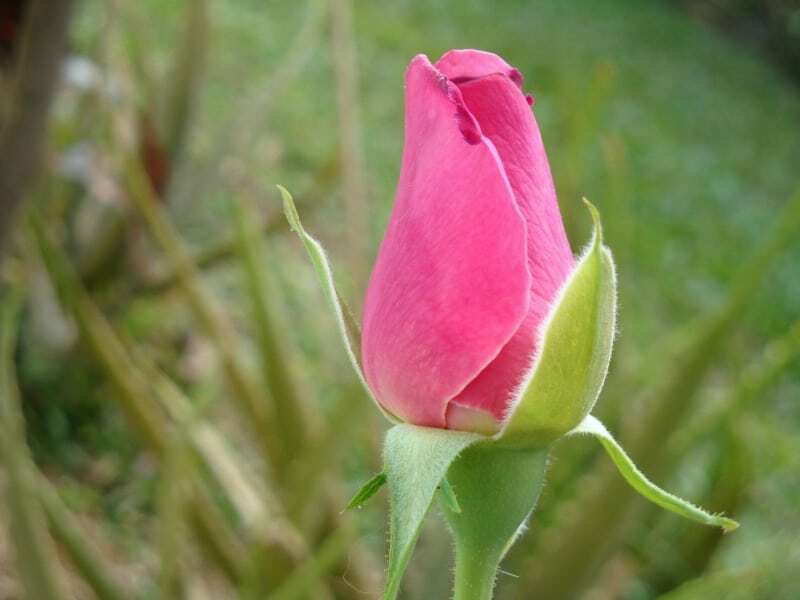 Here’s a picture of a single rose that will have a two-tone gradient in it when it has fully bloomed. You can see it a bit now on the side and tips of the closed petals. 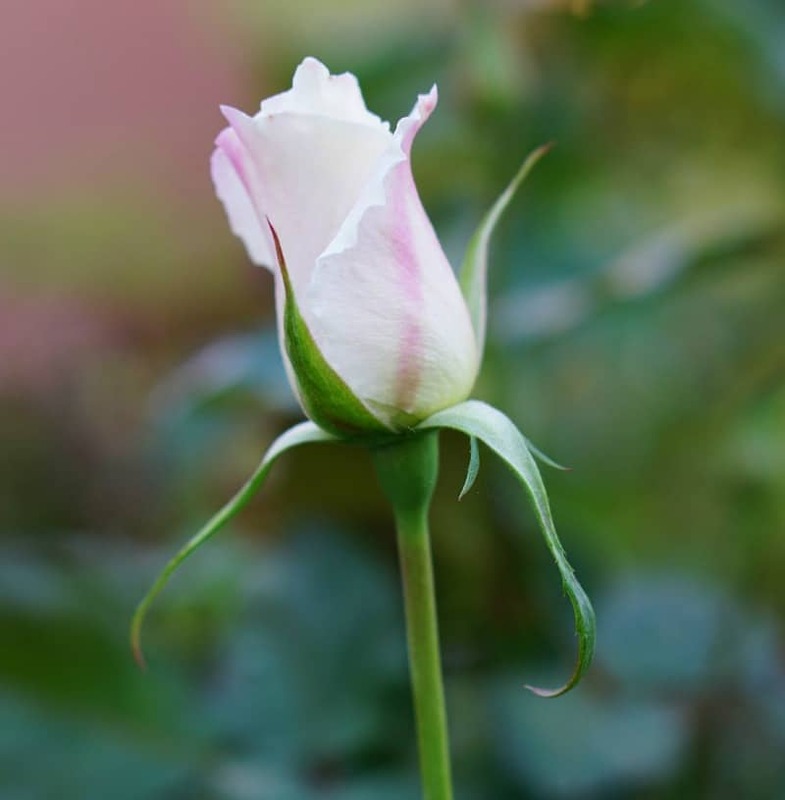 It’s a very light pink/white colored single rose, with some darker pink lines in it. Can you really think about roses without also thinking about rose bouquets? They are such a classic flower to put in a vase, or in any flower arrangement. 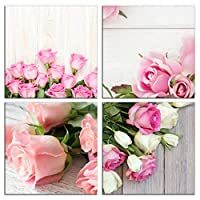 Take a look at these rose bouquet photos for just a few ideas and inspiration of what you can do with this magnificent flower. Here we have white roses in a bouquet with what might be baby’s breath, and off to the left is a single red rose at full bloom. This makes for a lovely table setting. It seems someone is about to have tea. This bouquet looks like a great way to ring in spring. It’s bright and bold, and really makes me smile. I’d love to have this sitting on my dining table to brighten the entire room. 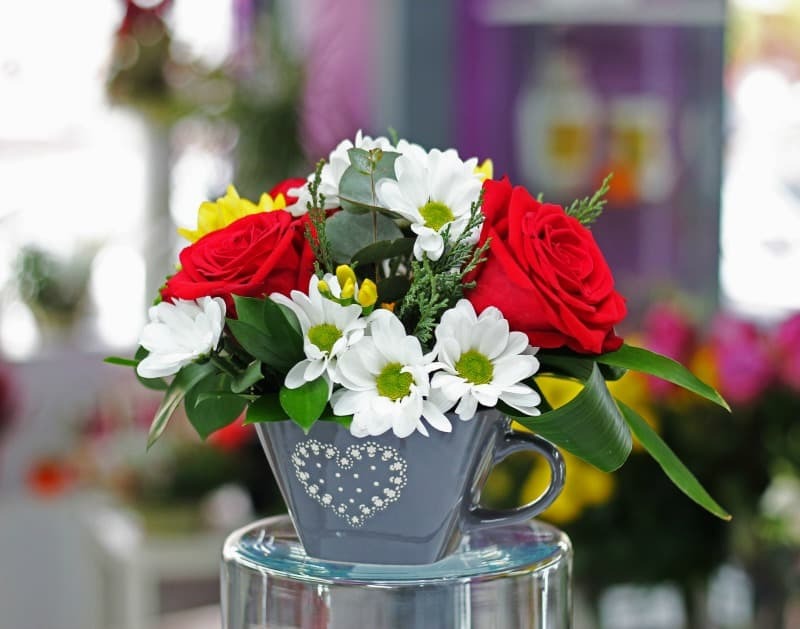 Here is a classic look with perfect red roses in a vase with white flowers and greens. There is also a yellow rose peeking over the back side there. This would be a great centerpiece item, or a vase you can display nearly anywhere in the home. This bouquet looks like something a teen girl may get on a date. It would work for a Daddy-Daugther dance night, too! To me, they speak of youth, exuberance and fun times. 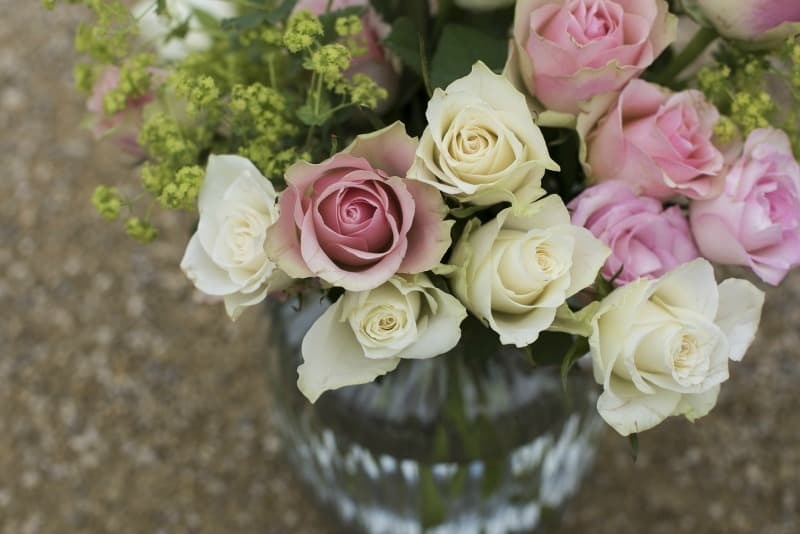 These pastel roses in a vase look like they are ready for a wedding reception or a similar party. I can see these sitting around on tables for just this purpose. Although they would also work in your home. I feel like they’d do well in a Victorian decor setting, too. They just have that soft, classic look to them. These are really fun and I love the other flowers that were added to this bouquet. It’s bright and it’s fun. I love how the purple pops and the pink roses complement it so well. These red roses are so beautiful. You can cut them right off the vine/bush like this and drop them in a glass or vase of water and they will stay good for quite some time and brighten up any room or space. 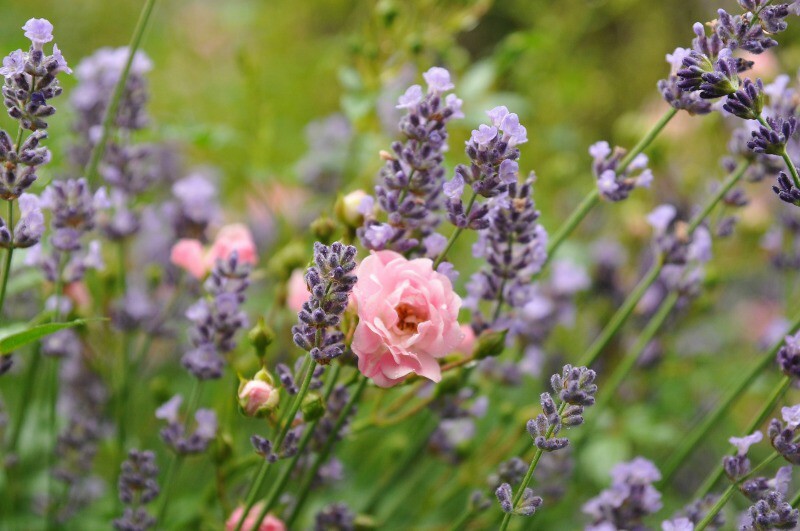 You can start a rose garden of your own if you’d like to try your hand at these versatile and beautiful flowers. 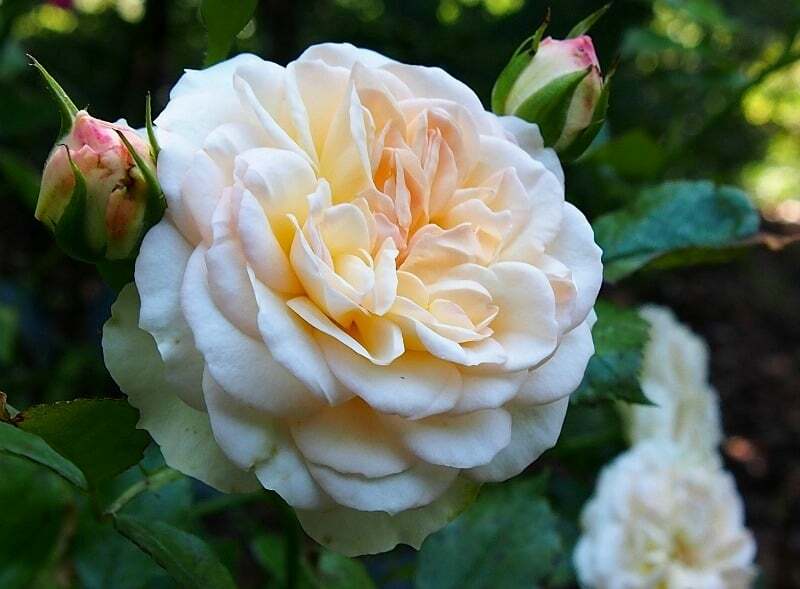 Old garden roses can work for small rose gardens and these include York and Lancaster roses, and other classic roses. 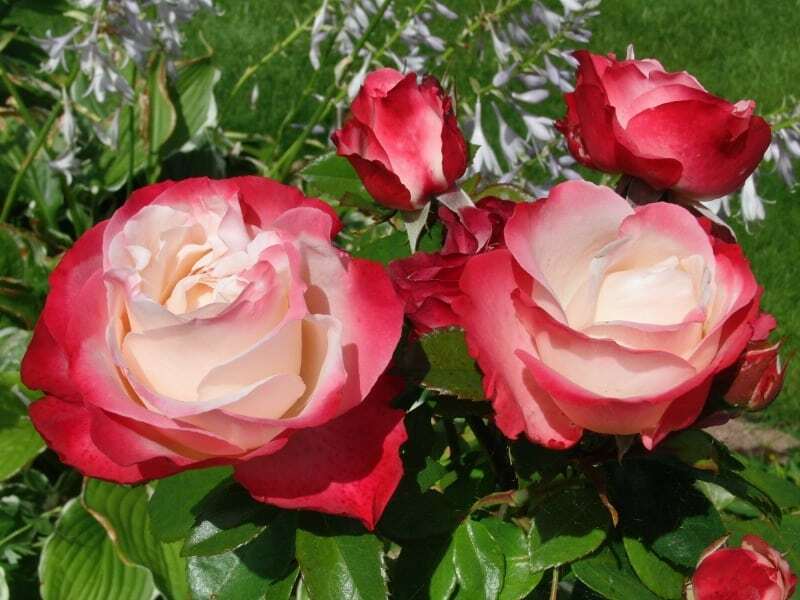 Modern roses are invented or hybridized that are bred by professionals to give you some of the unique colors and variants we saw in the pictures above. 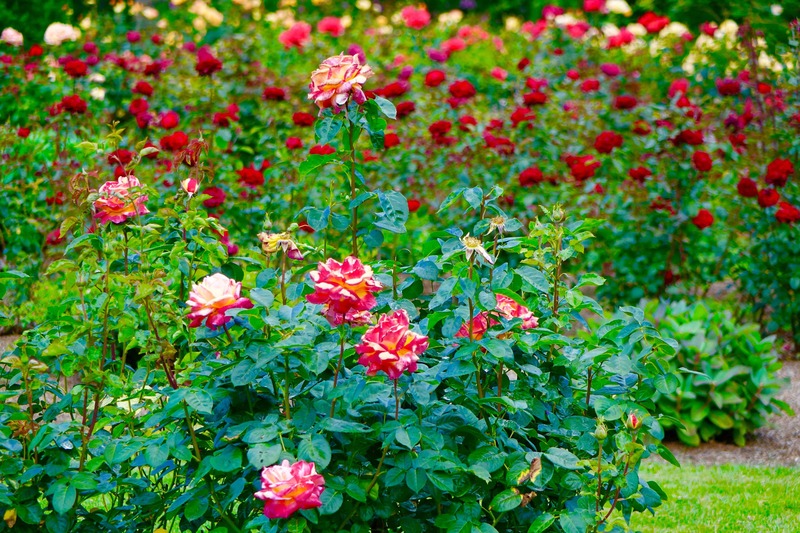 Whatever you put in your small rose garden, you’ll want to learn proper care to keep them looking great like the ones in this picture. 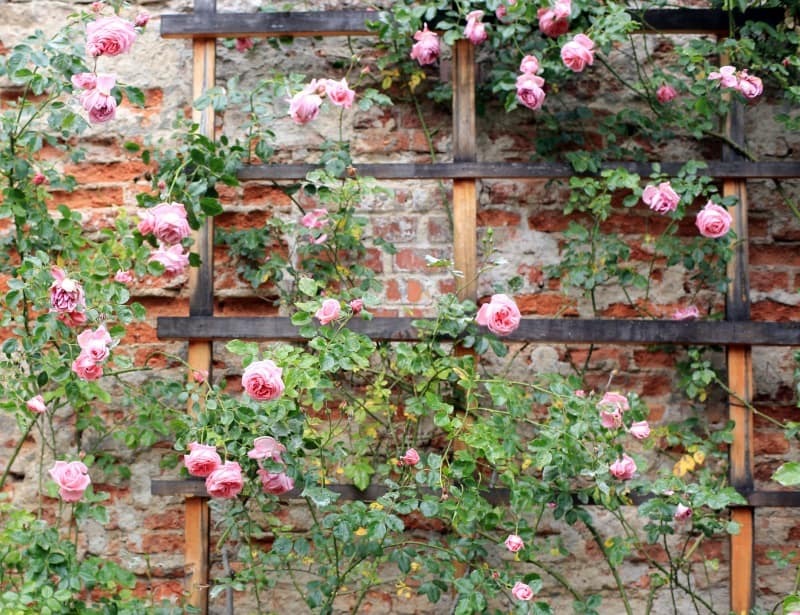 If you love the look of old-style roses, these vintage climbing roses could be just what you’re looking for. They will climb a trellis just like this as they grow and they can be a lot of fun to look after and a great joy to look at. They are truly timeless. 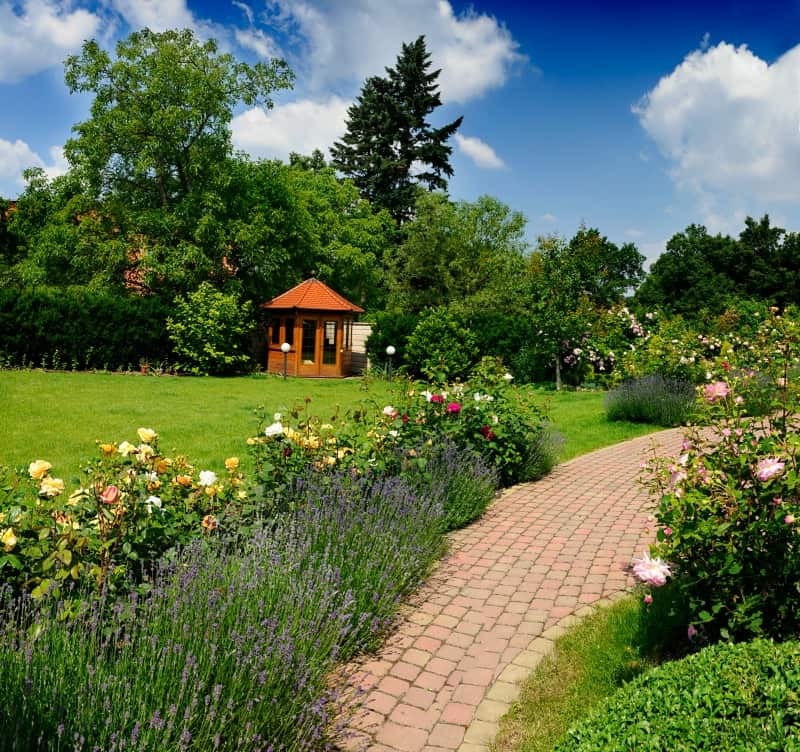 Let’s have a look at some more beautiful rose gardens for inspiration that you can use on your own. I love the look of these around the walkway and patio, as if they are adorning it. 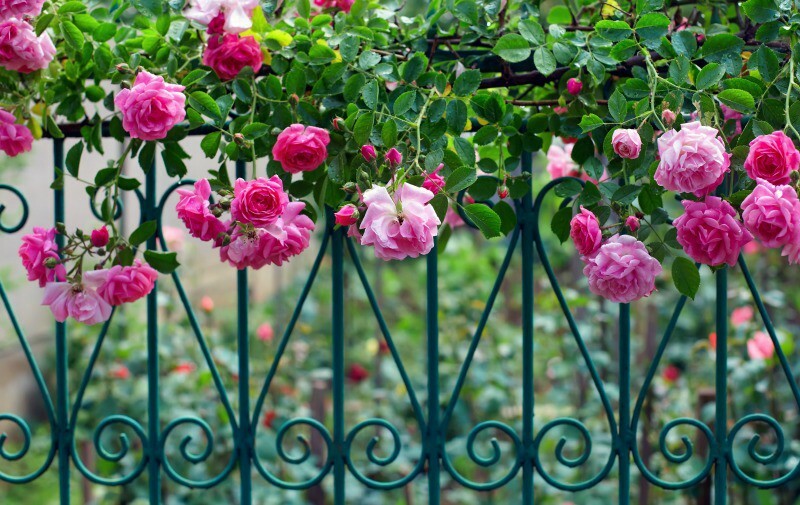 These are so adorable and they really brighten up that wrought iron fencing. You’d have to take good care of them so they don’t overgrow or get wild on the fencing but it would be a very fun project. 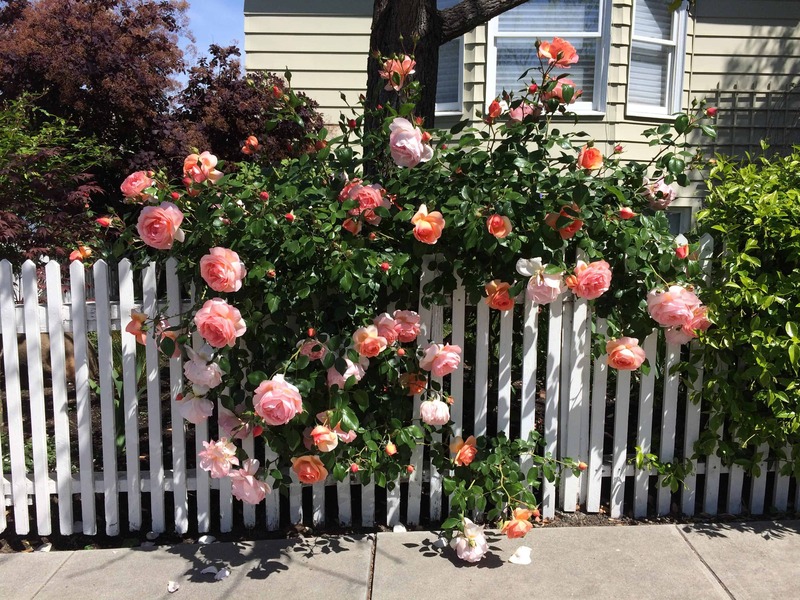 These roses are jumping out of the yard and onto the sidewalk to bring joy to passersby. 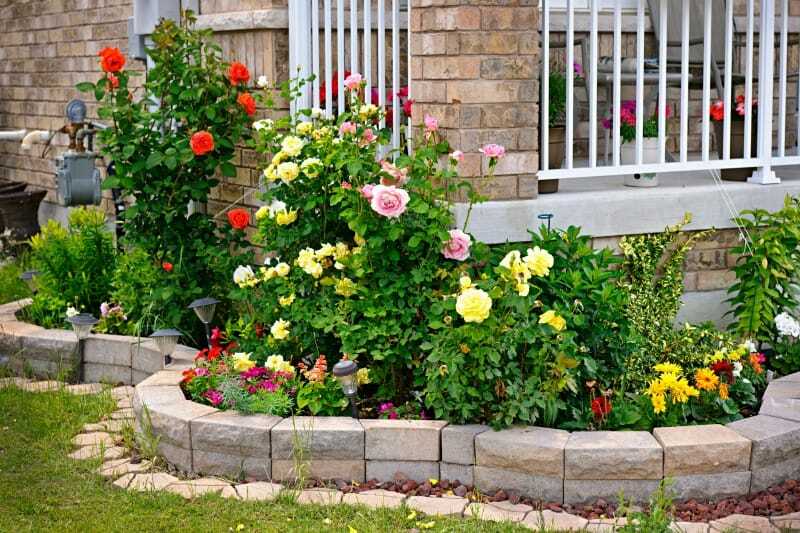 They make a great contrast to the white fencing too, and would really add to the curb appeal of any home. What do you think? 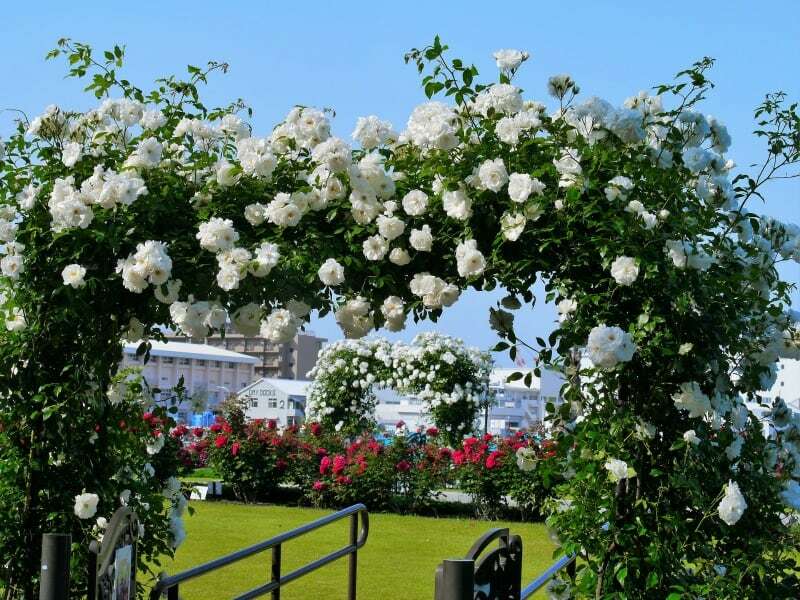 When we talk about classic roses, we also think of the rose arch (at least I do)! Here is an amazing example of that. You can see the white roses in the arch that is closest to the camera but if you look in the background, you can see another one to really get a feel for how amazing they are. Here we have another archway, with clusters of pink roses in it. 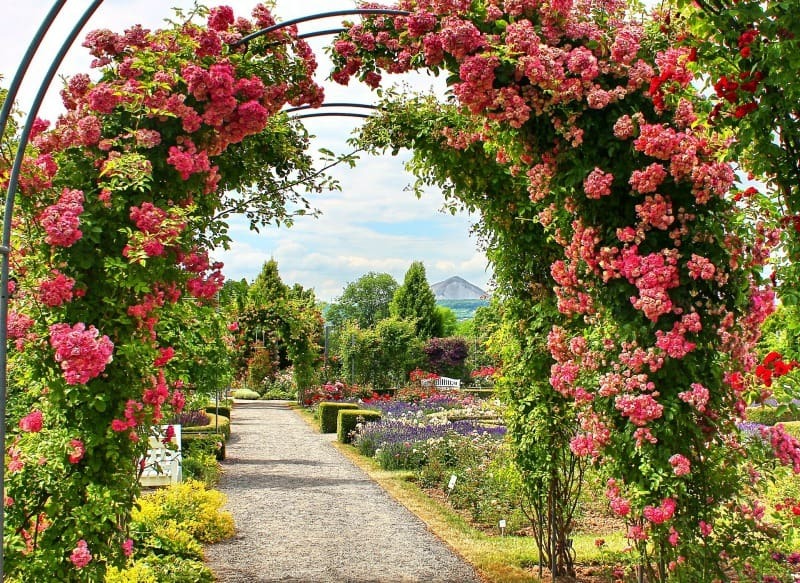 It seems to be leading into a garden of more roses, as well as other beautiful flowers. This looks like such a cozy place to sit down and read a good book, or just get grounded in nature. 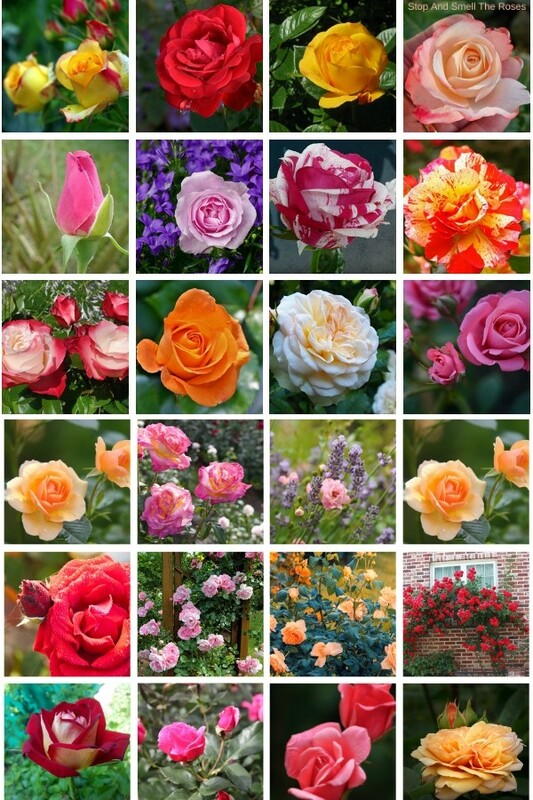 Of all these roses, which are your favorites?